Maybe you're not aware that blow dryers didn't even become a thing until the 90's? They didn't have extensions and weaves then, either. What? I'm a man and I even know blow driers were a thing in the 80's, and probably in the mid to late 70's as well, but maybe not widely available then. I remember my mom using this in the early or mid seventies. It had a lot to do with the generation. My mom is horrified that I am close to 50, have long hair and don’t dress frumpy. I think we also have a tendency to hold onto our youth, by keeping the same hairstyles. In turn, it dates us. To look more youthful, you need to stay up to date. My mum is 52 and has hair down to the middle of her back, and she dyes it as often as possible. She HATES grey hair, and even a few are deemed unacceptable to her. 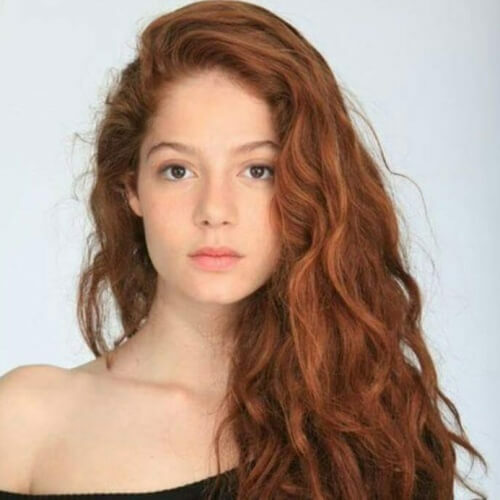 Her natural hair colour is a very nice auburn - she used to straighten it a lot but now she leaves it in its natural wavy state (which looks much better imo - very similar to this, with the same upwards kink at the hairline). She never dresses frumpy either, and if she ever did start dressing frumpy, I think my sister (who is 32) would tell her off. What is wrong with looking mature? I really don't get it. I like to see distinctions between generations. There is the same pressure now to look youthful as there was previously to look mature at a certain age. I would rather put my hair in a bun and forget it than feel I had to get plastic surgery or wear tight clothes and push up bras to stay relevant. Last edited by Zoisite; 02-05-2018 at 04:07 PM.. I got one when I turned 59. Now I'm getting closer to 61 and had to change it from a shag but it's still pretty layered. I had almost waist length hair prior to that and always said that I was going to be one of those ladies that had long hair ... wear a nice braid or something as I grayed. Turned out... I hit menopause at 38 and my hair started thinning. By the time I cut it it had gotten so thin and straggly I had to do something. So.. sometimes the best laid plans fall thru. On the plus side... you'd have to dig thru my hair to find a gray one.